Skyland's Blog: Some new items in stock. Some new items in stock. 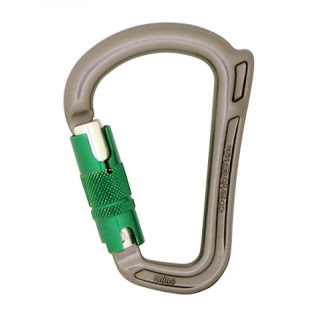 We have the new DMM Rhino Carabiner in stock, we are proud to say at the moment we are the only dealer to have them. It's a cracking idea and very simple, DMM have added a nose to the biner to stop pulley's from moving round to the side of the biner and possibly side loading them which makes them very weak. It comes to you at £15.11 including VAT. We think if this was out when the Petzl Zigzag was it would have put an end to all this side loading talk and we could all still be enjoying the thrill of the Zigzag. We have added some Silverline products of late, granted, the professional may not plump for their products but the homeowner, part time gardener couldn't go wrong here, excellent value for money and here is the top bargain at the moment - the Extendable Pole saw. 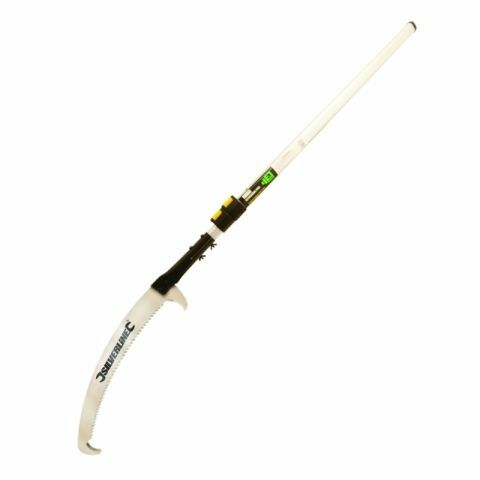 At just £25 it really is a bargain, the pole is aluminium and the whole saw is a close and a very close lookalike of the Silky Hayauchi, obviously the blade wont be anywhere near the quality of a Silky but for the money its worth just having the pole.